The Bridgestone J15 Black Oxide wedges are forged from premium carbon steel for incredible feel. 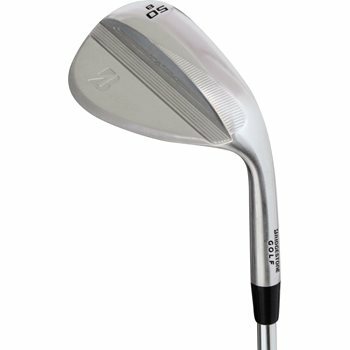 The face is machine milled to increase surface roughness for added spin and the aggressive U groove design channel away dirt and debris for consistent contact. The J15 wedges also feature a Sure Contact Sole to ensure consistent turf interaction from all lies. The tear drop design is preferred by most Tour players.